Our coziest room type. The Queen Petite is perfect for travelers on a budget. This is our only room without a wet bar, refrigerator, microwave or coffee maker. 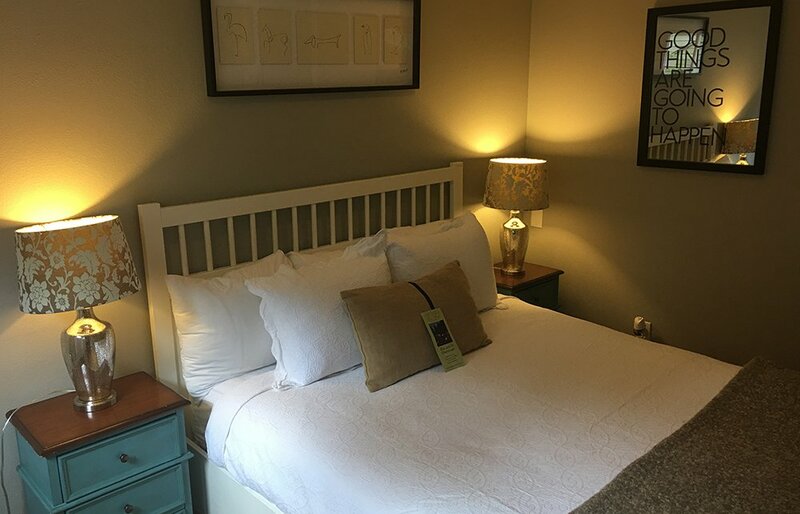 The room is basic but comfortable and although small does offer a nice sized soaking tub to enjoy after a long day of exploring the views and vines of the Russian River Valley. Not a dog-friendly room.